Into Abba’s Arms is a non-profit foundation established in 1998 in answer to the Lord’s call to help the homeless children of Kenya. We acquired an IRS 501(c)3 designation in 1999 and a Kenyan NGO (Non-Governmental Organization) status in May 2000. Into Abba’s Arms has both an established US and a Kenyan Board of Directors. In 1997 Jane Gravis had a dream about Africa. The following Sunday at church, her pastor announced an informational meeting for an upcoming mission trip to Kenya. Stunned, Jane leaned over and whispered to her husband, “I think I’m supposed to go on that trip,” and she did! As a trained dental hygienist, Jane was appointed the team’s dentist. Although she was not licensed or experienced in the extraction of teeth in the US, Jane was certain God called her to the task. She spent the next few months learning to administer injections and extract teeth. Jane’s team worked alongside a Kenyan pastor, Nicodemus, who was curious about the team members’ backgrounds. Jane explained that in addition to being a dental hygienist, she also worked as an advocate for children in state custody. 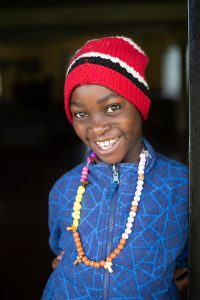 Nicodemus immediately responded with, “You can help us with our orphans!” Jane politely changed the subject with a promise to pray for Kenya’s orphans when she returned to the states. Once home, Jane could not forget her conversation with Nicodemus. She began losing sleep, “It was almost like an obsession.” Jane was convinced that God was speaking to her about Kenya’s orphaned children. She began to argue with God saying, “No, I can’t—it’s impossible. It’s too big for me.” Soon Jane was driving herself and everyone around her crazy with the idea. Finally, she could resist no longer and agreed to do whatever God asked of her believing that He would accomplish what He intended. Jane began meeting with an African American pastor at her church. He encouraged and reminded her that anytime God calls His children to a task, they should expect resistance. The opposition did come but from an unlikely source. The head pastor at Jane’s church attempted to discourage her efforts by reminding her of the impossibility of the task. He suggested that she instead support a ministry that was already established. Undaunted by the lack of support from her pastor, family, and friends, Jane pressed on knowing that her responsibility was to be obedient to God’s calling. The rest would be up to Him. Join Us In Giving A Child Hope! Jane faced a daunting task. Accomplishing such a task in the US would be intimidating, but pulling off a feat of this size in a foreign country appeared impossible. Most people would become discouraged and abandon the idea, but God did two things to encourage Jane to continue moving forward. First, He faithfully placed people in her path who encouraged her to follow His leading. Secondly, He continued to confirm His hand in the process by removing obstacles. One year later Jane returned to Kenya. 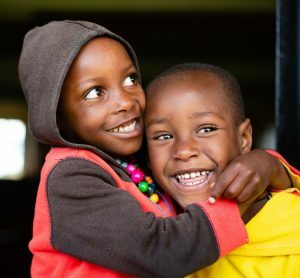 With the help of two friends, Jane began filling out the necessary paperwork for NGO status (Kenya’s equivalent of a 501(c)3) for a children’s home she would name Into Abba’s Arms. On average, it takes approximately five years to obtain NGO status from the Kenyan government. Jane was advised repeatedly, both in the states and abroad, that she should be prepared to pay bribes to government officials in order to obtain approval. Certain that God would provide, Jane refused to even consider the idea. Into Abba’s Arms received NGO status within 18 months. The need for land necessitated a second trip in 1998. Jane arrived in Kenya with donated funds, though limited, to purchase property. This time, she joined a team from Living Waters, a well ministry conducting training in Kenya. The founder of Living Waters, Harry Westmoreland, introduced Jane to a local attorney who had property for sale. It was not at all what Jane expected. Instead of the three-acre plot being located on an arid plane given to sweltering temperatures, it was situated in the central highlands where the soil was rich and fertile and the temperatures moderate. Despite its beautiful location, it was unlikely that water and electricity could be installed at the site. Yet, Jane knew in her heart that God himself had chosen the site. As she and others spent the day talking and walking around the site, the Lord clearly spoke to Jane and instructed her not to ask about the purchase price. Without understanding why, Jane remained silent. Later that evening, as the attorney and another team member were driving Jane to the airport, the attorney announced that he would donate the land to Jane and Into Abba’s Arms. By 1999 Jane held title to the property. Things began to take off when she started leading teams to the site. Donations for a well and generator came in, and construction at the site began in 2000. 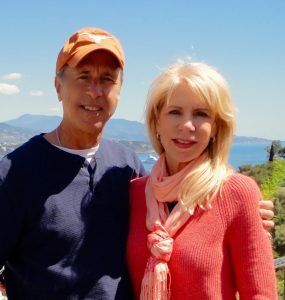 A friend of Jane’s, Patti McLane, traveled to Kenya and spent two years overseeing the final stages of construction and hiring key personnel. By 2002 the home was ready for occupancy. Patti contacted a government-run facility for orphans to obtain Into Abba’s Arms’ first children. In heart-wrenching fashion, the children were lined up and Patti was instructed to “pick the ones she wanted.” She selected 10, and Into Abba’s Arms welcomed its first residents. 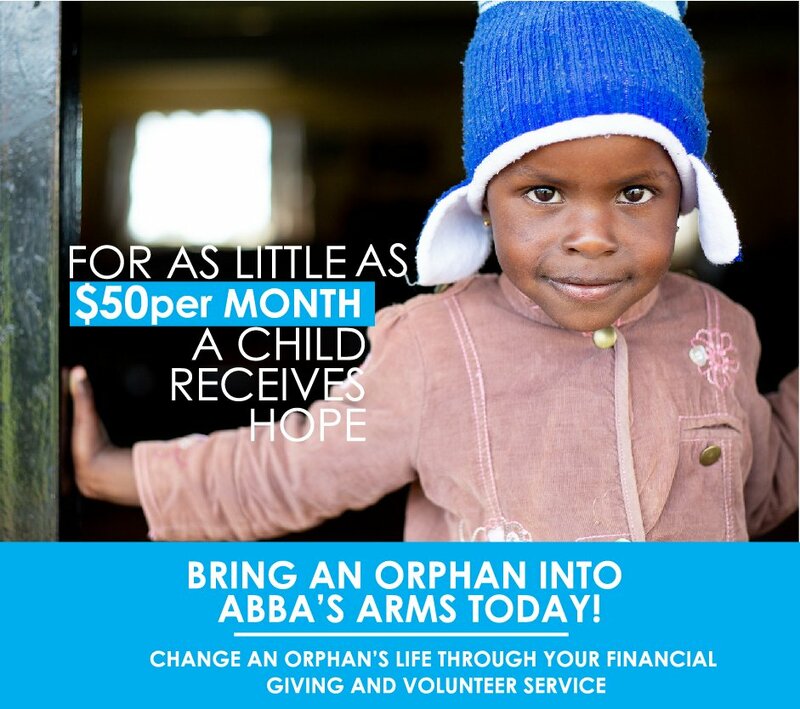 Today, Into Abba’s Arms extends beyond the children’s home to over 300 area residents. Children and staff at Into Abba’s Arms grow their own food. Now they have a future!